TriStar features the most energy-efficient hydraulics with a revolutionary motor-cooling design for an extended motor life. Its extra large leaf holding capacity extends the time between cleanings, giving you more time to relax and enjoy your pool. For over 80-years, we&apos;ve been helping pool owners enjoy the pleasures of pool ownership by manufacturing cutting edge, technologically advanced pool equipment worldwide. Hayward products include a complete line of technologically advanced pumps, filters, heaters, heat pumps, automatic pool cleaners, lighting, controls and salt chlorine generators-high-quality components engineered to work together to keep your pool at it&apos;s best. 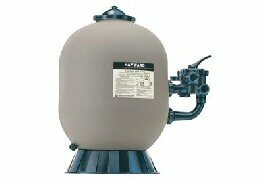 Hayward provides the finest in-ground swimming pool filters for clean and clear pool water. 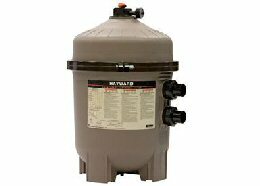 These filters&apos; low maintenance demands and simplicity of operation have set industry standards for value, performance, and dependability-they make in-ground pool care easy. The durable housing is molded of corrosion-proof polymeric materials. Additional features include an advanced, self-cleaning lateral system for smooth, efficient flow and totally balanced backwashing. Plus, with a Hayward 6-position Vari-Flo™ control valve, you can quickly dial any of the valve/filter functions for easier operation and maximum efficiency. Find out today which in-ground pool filter system is right for your pool. Contact Poolscapes TODAY for more information. 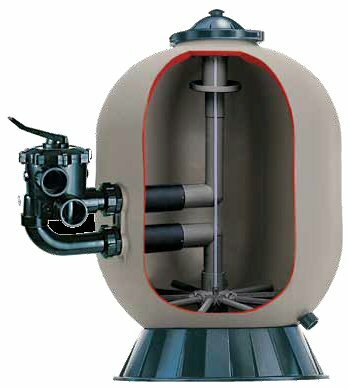 Sand filters in pools are used to extract impurities from the water by utilizing sand to collect debris as tiny as twenty microns. 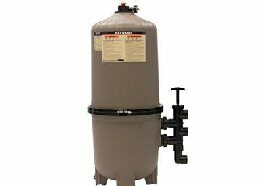 Once the pressure rises, the filter is backwashed to discharge water waste (i.e., running the filter in reverse). This removes all of the debris that has been trapped on top of the sand media.